symmetrical layout of three bhuddas sculpture and two chaindelier with embross golden paint wall. 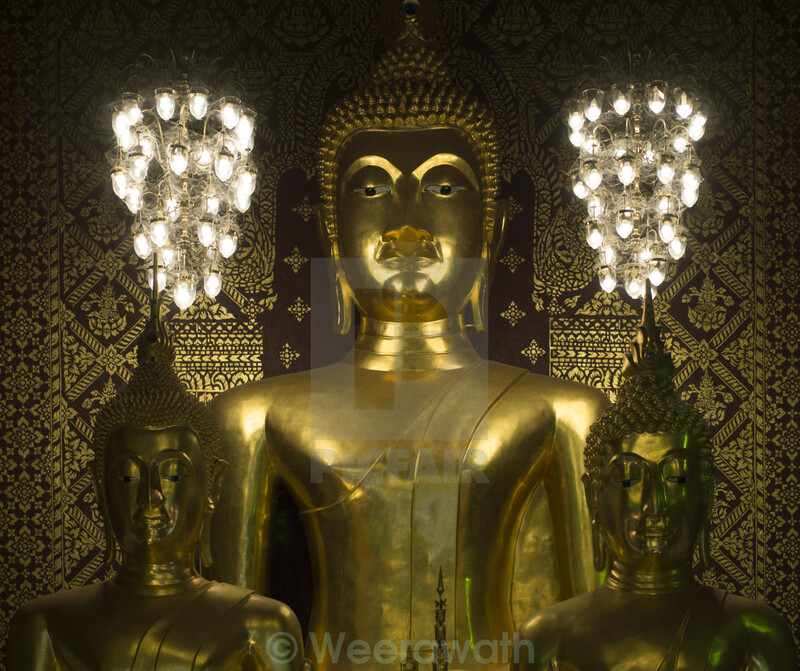 The indoor, low key, taken image of one big golden Buddha with two smaller golden Buddha with astonishing gold embossed wall under the light from two chaindelier. These monument are located in lamphun province of northern Thailand. The expression of picture are calm, peaceful and warmth.